3M™ Double Coated Polyester Tape 9690B 3M 9690B | Fabrico, A Division of EIS, Inc.
Black version of 3M tape 9690. Ideal for LED lens attachment for pagers and cellular phones. 0.5 mil, polyester carrier coated with 2.8 mil, 300MP adhesive high strength acrylic adhesive on primary side and 2.3 mil on the secondary side. 6.5 mil, 86 lb polycoated kraft liner. General purpose tape with improved temperature resistance. Variety of substrates including open cell foam and LSE substrates. 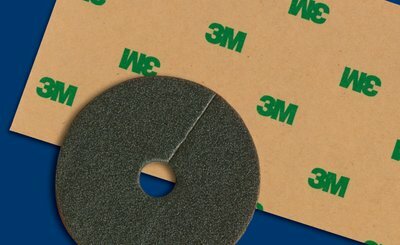 3M™ Double Coated Tape 9690B has a black film carrier which provides opacity and visibility. Thermal and sound dampening applications in the electronics and appliance industry.